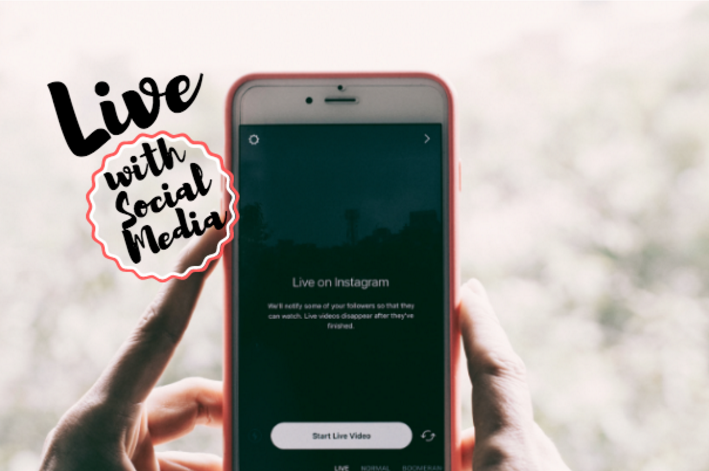 As you may have already noticed, several social media platforms, in particular Facebook, Instagram, and Twitter have rolled out a “live” feature. 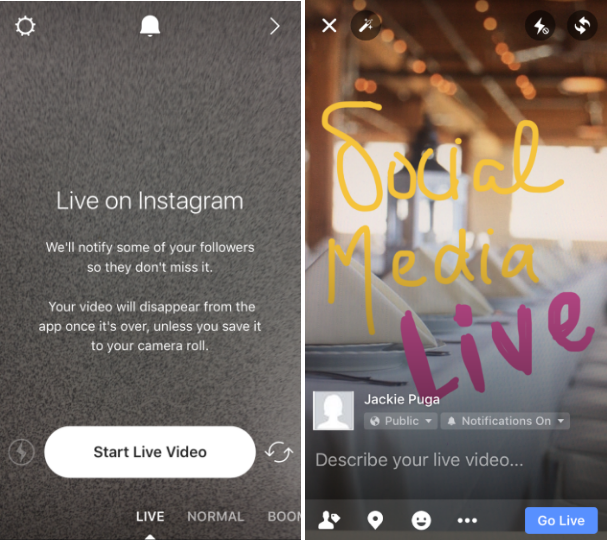 What this means is that users can now broadcast live audio and video to their followers as it happens! With feed like this, it is important to understand the many benefits of user generated content including control over the customization of content for a brand. Followers are inclined to view live feeds as they receive notifications once an account they follow goes live and vice versa. The great thing about live notifications is that they create a sense of urgency for the user, especially since you can see exactly what your favorite accounts are doing right this minute! Another great thing about live is that you can conveniently access and post via desktop and mobile. The major variable with live versus other types of feed is that there is no editing whatsoever and the content disappears once the live stream ends; with the exception of Facebook and Twitter who post the live stream as a video to the users page once their live stream has ended. Although content has to be streamed on the spot, hoteliers can still use this tool as part of their hotel social media strategy. This new feature is great for showcasing things like events happening at their hotel or amenities is full use. Hotels can take advantage of live feed to showcase several features of their property. If it’s a hot day, snap a short video of the busy pool inviting guest to book throughout summer to join the fun. Another cool feature of live is the ability to write with text and add stickers or filters to the live broadcast. With text and filters you can can give your live feed personality and make it more interesting than a regular video so that user continue to watch until the end. The most useful feature of live is that hoteliers can see comments, likes and reactions as they happen. The person recording the live feed can answer questions left as comments in real time and may even tailor their feed to the request of viewers. For example, if a hotel manager is giving a sneak peek tour of a restaurant they are going to open on their property soon, they can respond to a user who asks “Is that a waffle maker in the background?” and can go over to the waffle maker to take a closer look while taking the opportunity to improvise an informative talk about the made-to-order waffles and omelets that will be served during the weekend brunch. Some people might question, how is a live feed any better than a regular video? Well, for starters live videos give real-time reactions and are usually shorter than curated videos and are not interrupted by ads at this point. 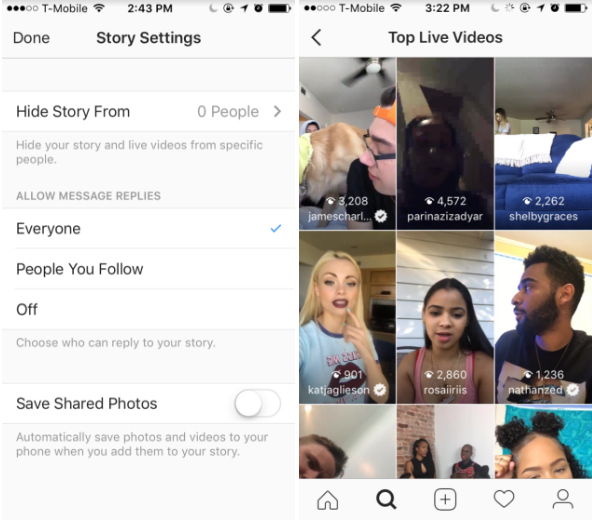 Unlike snapchat where we see ads more and more often, a live video is usually short but does not have time constraints. On snapchat users must have each other in their networks to be able to view each other’s feed, live feed can be discovered by people outside of the hotel’s network. Overall, live is a great tool to showcase events and features of any hotel so get creative and get to streaming!